I am an organic gardener. I use the Back to Eden gardening style and am interested in becoming more self-sufficient. I have a homestead in the Appalachian Mountains of North Georgia where I will be moving shortly. Join me in my crazy gardening adventures. can you please give me a website for the builder? Could you please provide a link to the website detailing the current building codes in your area as it relates to minimum square footage? I like the concept of one to two acres–so long as the community keeps it up. I do not want to do lawnwork. Light gardening only! Thanks for your video. I'm so happy that tiny homes like these are legal in Ellijay! That's half the battle right there. Hope to come up this fall and check them out. ?⭐watch &like nice video my friend cheers ☕?☕? Why the music ?? Can't hear what your talking about…weird. Thanks for the video, my wife and I drove up to Ellijay last weekend to see these homes in person. This house was much more spacious then we imagined and a great price too. Where can I go to buy this? would be nice if you would lose the music so we could hear this better.
" For the amount you pay for an apartment you could have a house like this on one to two acres." Doesn't sound like your living in America, or that you have realistic knowledge of how much property, utility set up, and permitting costs, not to mention the job market, unless you are not in need of a job. 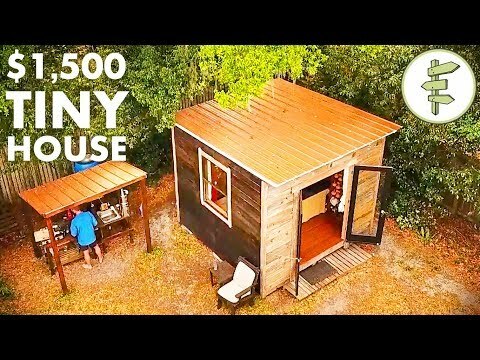 The biggest issues with the tiny home setup. 1) buying the land 2) finding affordable land near a larger city where you can locate a job, good luck with that. 3) getting a building permit for a living space that is under 1000 sq ft, many codes require at least 1000 sq ft. 4) sewage-that is one big can-o-worms in some areas, we won't even discuss utility hook up, which can cost over 50,000$ in some areas. 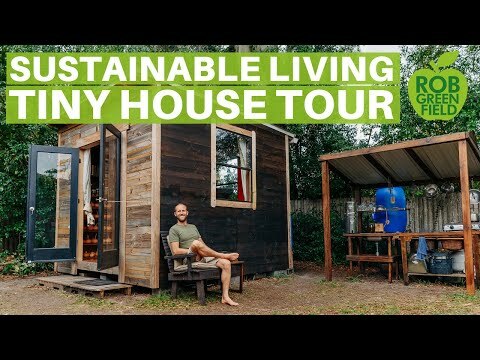 I would love to see more tiny homes in America, unfortunately many areas have some very unreasonable and very restrictive rules and regulations that are supposedly for our safety, these rules completely stop this type of innovative and progressive thinking. Hi Paula, I really like the way they tied several structures into each other by connecting them with a large deck space. To me this is crucial because that way it draws the people to live out doors. Elevated deck space as well as pathways to other locations on the property allow people to tread lightly across areas that may be tender. This can create wonderful landscapes and garden possibilities as well. This is also a great way to use reclaimed wood. Great video Paula! I like the interior seems like a great idea. Drove by this place the other day, didn't have time to stop by so thanks for sharing a close up! I have a small home (not tiny) already, but if I hadn't bought it a couple of years ago I might have considered something like this. Small = easy to care for as well as "green living." Nicer looking than many of the mobile homes too. 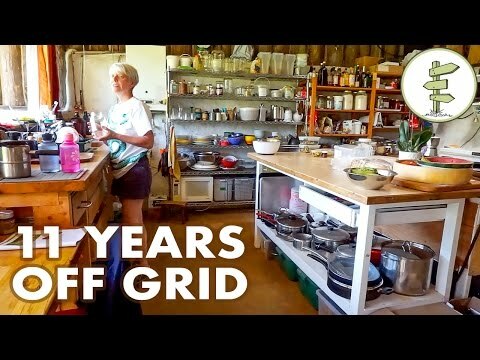 Hello Paula, thankyou for taking the time to show everyone this option for people to live in. Happy New year to you and your family. Thanks for the update, best wishes for 2016, Happy New Year Paula. Really great Paula ! I could live in a tiny house !! 🙂 Happy new Year ! Pretty interesting. You often hear these being built on trailers to get around zoning laws. Build a shared community garden could offer up a lot. It is amazing some of the engineering that goes behind some of these to use every square inch. Thanks for sharing! Looks fantastic! Happy new year..